Happy New Year! Here is a healthy easy treat to help ring in 2014! 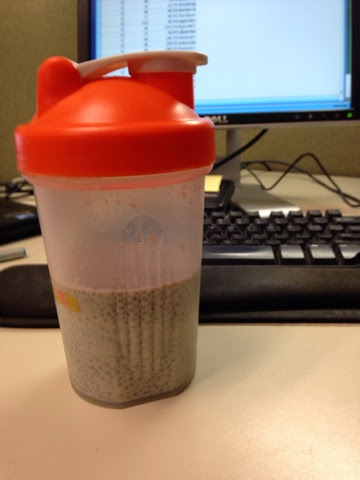 Combine- I put mine in a shaker. Stir after an hour or so- I left mine in overnight for a breakfast treat. How does Christmas sneak up on me every year! Still so many fun things to get to! Jackson has been coloring ornaments for present toppers- my helper! 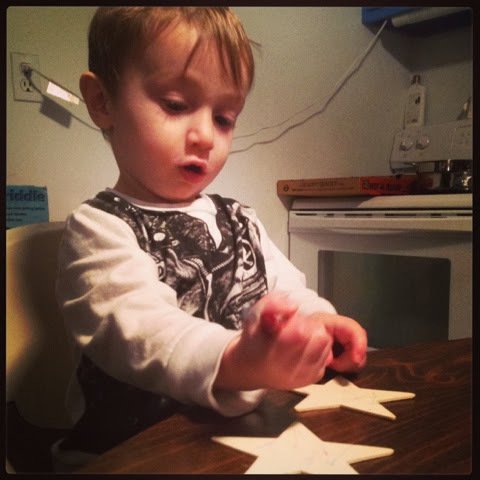 But I was hoping to get his lil mitts into some salt dough too. Not to mention cooking, baking, and wrapping! This Saturday is my last show- 9-2 at the Frear Building in Troy (attahced to the Uncle Sam Atrium). And with Victoria (Kurtz Baby #2) coming in February I'm not sure when my next show will be. What last minute preperations are you making? ?